An upcoming exhibit at the nearby Norman Rockwell Museum is not to be missed. From November 7 through May 31, 2010, visitors to the Norman Rockwell Museum will be able to see hundreds of the artist’s artfully staged photographs. Studies for his paintings, these photographs are important works of art in their own right. 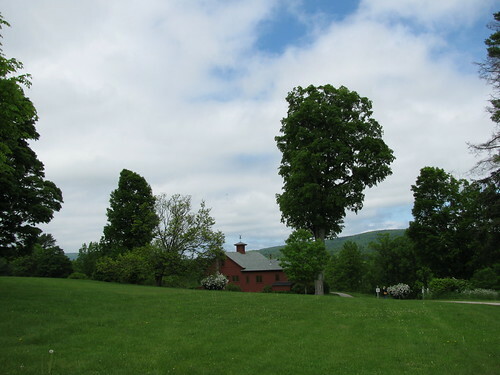 Stockbridge Mass is just a few miles from our Lenox MA bed and breakfast. A morning or afternoon spent at the Norman Rockwell Museum is time well spent. In addition to the upcoming special exhibit of Rockwell’s photographs, the museum houses the most complete collection of his iconic American paintings. Rockwell’s last studio, which he called his best, now sits on the museum’s grounds, and is open to visitation. Take time to visit this remarkable museum when you stay at our Western Massachusetts lodging. The museum store has a wonderful selection of prints and books, which make lovely gifts for the upcoming holidays. Read more about the Norman Rockwell museum at the Applegate Inn Blog.